NEW YORK (AP) — Top U.S. diplomat Mike Pompeo said Sunday that economic sanctions on North Korea won’t be reduced until it completes “denuclearization” after leader Kim Jong Un offered to close the North’s main nuclear site in exchange for U.S. concessions. Kim said last week at a summit with South Korea’s president that he was willing to dismantle the Nyongbyon nuclear complex in the presence of outside inspectors if the U.S. takes unspecified “corresponding measures.” He also promised to dismantle the North’s main rocket launch site. That has helped revive U.S.-North Korea diplomacy that had failed to make headway since President Donald Trump met Kim in Singapore in June and won a vague commitment on denuclearization of the Korean Peninsula. But U.S. administration officials have yet to signal a readiness to provide the kind of incentives that Pyongyang wants. Pompeo also wouldn’t be drawn on whether the U.S would consider a declaration on ending the Korean War that the North has sought as a sign of reduced U.S. “hostility.” The war ceased without a peace treaty in 1953. “But what we’ve made clear is the economic sanctions — the driving force to achieve the outcome we’re looking for — will not be released. And the U.N. Security Council will not reduce those sanctions, until such time as we’ve achieved that final denuclearization,” he said. 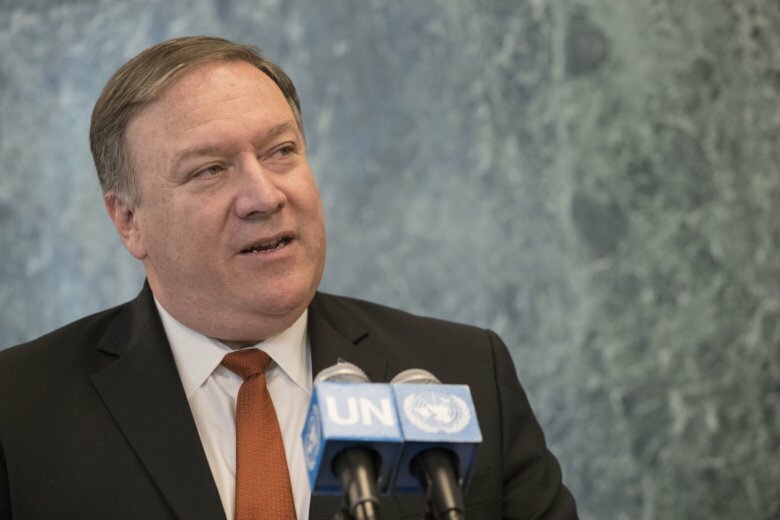 Pompeo has invited his North Korean counterpart for a meeting on the sidelines of the annual gathering of world leaders at the U.N. this week. Trump, who is considering a second summit with Kim, will be meeting South Korean President Moon Jae-for a debrief on the allied leader’s recent visit to Pyongyang. U.S. ambassador to the U.N., Nikki Haley, told CBS’ “Face the Nation” that Trump is not interested in “half measures” and wants North Korea to allow inspectors at all its sites to verify denuclearization. “I think what President Trump has said is we’re not going to do any half measures. We have to make sure that we’re thorough in this. There are multiple sites in North Korea, and we need to have inspectors in all multiple sites if that’s going to happen,” she said. North Korea is suspected to have secret sites linked to its nuclear weapons program in addition to the plutonium and uranium production facilities at Nyongbyon. While North Korea has halted nuclear and missile tests since late last year, it hasn’t moved to abandon its nuclear arsenal of an estimated 40 to 60 bombs.